Many of us are familiar with the powerful work of Brene Brown. She truly pioneered the notion that our vulnerability is not a weakness to be hidden, but rather, a powerful way for humans to authentically live their lives and connect with one another. Are there times when you find yourself feeling consistently vulnerable? How do you respond in those situations? Do you allow yourself to feel the authentic feelings that are coming up, or do you feel compelled to hide your vulnerability. Have you ever even stopped to take note of those times to understand them at a deeper level? 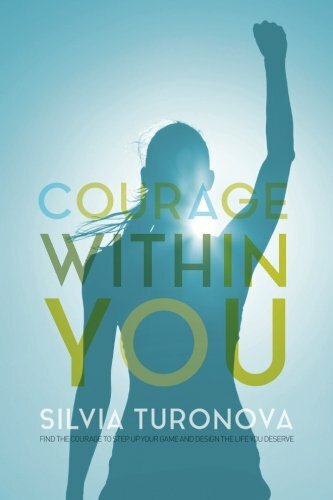 This week, I am speaking with Silvia Turonova, an inspirational life coach who used her own difficult life circumstances as motivation and fuel to create the fulfilling life she lives today. Silvia immigrated to the U.S. 6 years ago from Slovakia with $500 in her pocket. Her desire to create more opportunities for herself and for her mother is what drove her to take such a big leap to start her life over. At the time, she only knew 2 sentences in English, and she had no idea what she was going to do for her career. Today, she is a motivational speaker, writer and an author of the book "Courage Within You." She is a founder of the Courage Within You platform blog which she launched almost 3 years ago to support and inspire people in living courageously and without limits. Silvia has written well over 200 articles on success and personal development and was featured on some successful websites as Addicted2Success, MotivationGrid, Wealthy Gorilla and many more. Her drive to help people in changing their perspective on pain and using their courage to live more authentic lives is mainly based on her own experience and challenges. She primarily focuses on teaching people how to find benefits in their hardships and how to love themselves through imperfections. Silvia believes that one of the best ways to experience fulfillment in life comes from being our most authentic self.